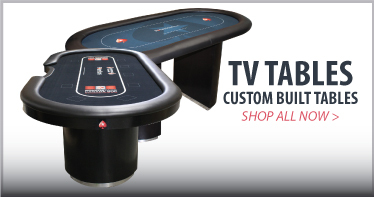 Custom Poker Tables - Do you have a unique design or concept? Let us build it for you! 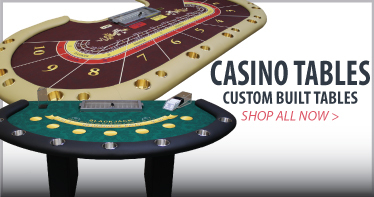 Our custom built poker tables are made with the finest materials with Canadian lumber (plywood, oak, maple and other premium woods), Canadian manufactured steel folding legs, automotive grade vinyl, high density rail foam and under-pad . 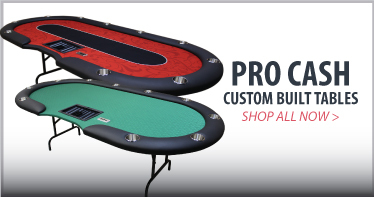 All custom poker tables are designed from scratch, from art work for the optional dye sublimated playing surface to the shape and size of the table. 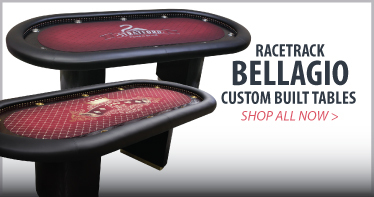 We do not import any wood or materials used for our tables and call them “custom built”, like some of our competitors. 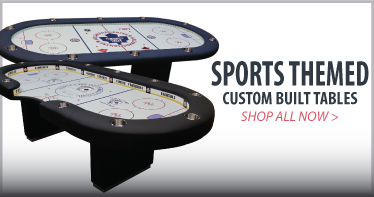 Using Canadian made products will ensure the highest and most durable tables built in North America. The longevity of our games tables will not be beat. 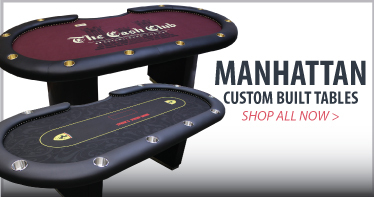 Visit our showroom today to view some of our best selling, hand crafted poker and casino tables.